Wash the potatoes. 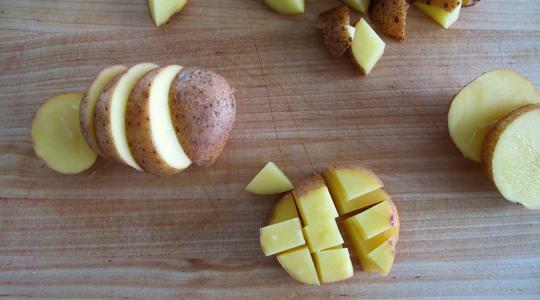 Now we are going to dice: first slice the potatoes into rounds a little less than ½-inch thick. Stack two rounds at a time and cut into small squares (dice). 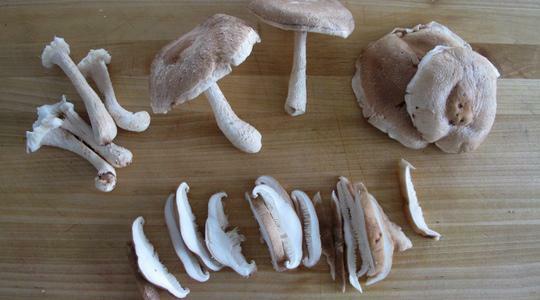 Pull the stems from the mushrooms and discard. Thinly slice the caps. Pull the kale leaves from the stems and tear into bite-size pieces (you should get about 8 cups); discard the stems. Rinse the kale (no need to spin dry as you’ll want this moisture when you cook it). Place a large skillet or pot on the stove and turn the heat on to medium. Add the oil and heat until it shimmers (about 1 minute). 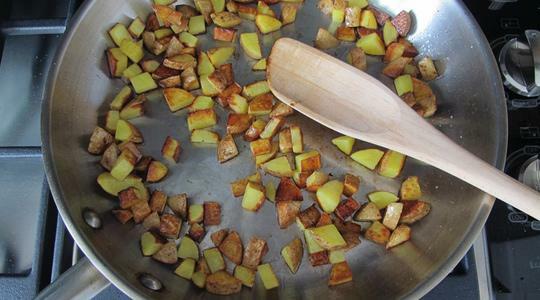 Add the potatoes and cook, stirring occasionally with a wooden spoon, until golden brown and tender, 6 to 7 minutes. 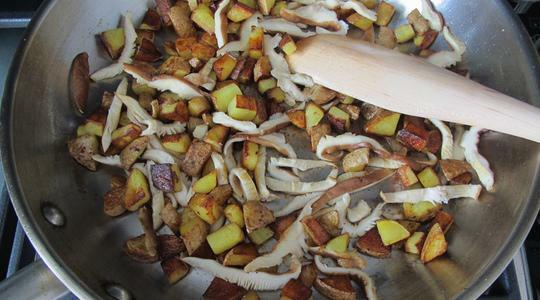 Stir in the sliced mushrooms and let them cook, untouched, for 1 minute (they’ll start to release moisture and become fragrant). Now you can stir them as they cook for about 2 minutes more, or until tender. Add the kale and use tongs to toss them into the mushroom mixture. Sprinkle in the salt. 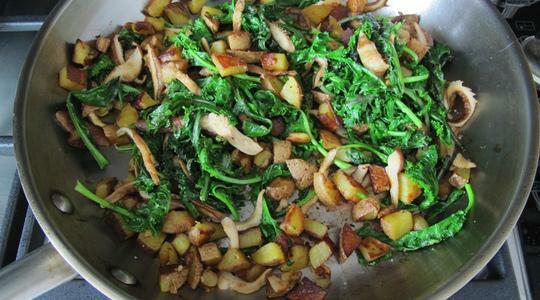 Cook, stirring often, until the kale is tender, 3 to 4 minutes. Remove from the heat. Slice the avocado. Slice the jalapeño into thin rounds. Warm the tortillas. 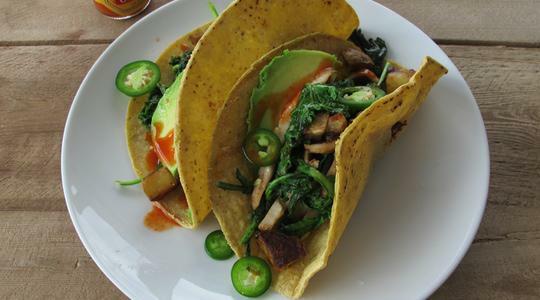 Reheat the kale mixture if necessary and fill the tacos. Add the sliced avocado and jalapeño. Serve with hot sauce and lime.